Just a short one today. 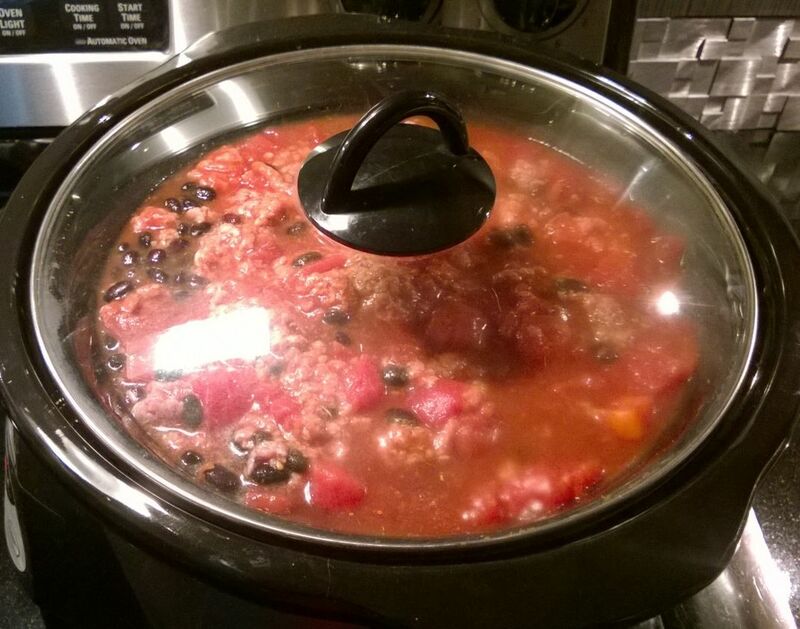 My husband likes his black bean chili, so I decided to make a not so paleo black bean chili. This black bean chili is very simple. I soaked a 32oz bag of black beans over night and this morning I layered them into my crock pot with 1.5 lbs. of ground beef and a 16oz can of diced tomatoes. 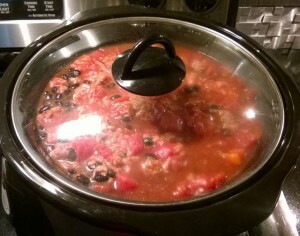 I added a small 8oz can of tomato paste and a cup of water to cover the black bean chili. As seasoning I used salt, hot sauce and a Mexican chili powder to taste. I will check before serving, if I need to add more seasoning. I will later add this not so paleo black bean chili to my recipes. If you have any questions in the meantime, just leave me a comment. It is a combination of chili peppers, salt and dehydrated lime juice. It is not too hot, but has a wonderful flavor I use in omelets, chili, frittata, etc.